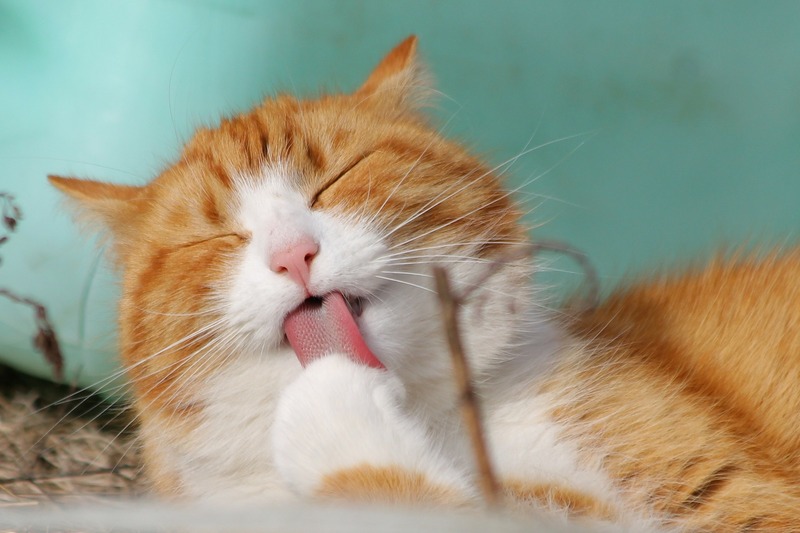 If your cat is like most felines, she spends hours every day grooming herself. Lick the paws, check. Use the damp paws to clean behind the ears, check. Your cat is capable of bending and contorting herself into all manner of funny positions to aim that rough tongue “just so” at a particular problem area. In general finicky cats are pretty good at keeping themselves clean. However, it turns out there are other reasons your cat grooms him or herself besides cleanliness. Why are Cats Great Groomers? How Can You Help Your Cat with Grooming? Yes, your cat can handle most grooming just fine on her own. However, we think it's a good idea to spend some time each week grooming your cat, too. That way, you can check for fleas, unattended mats in your kitty's fur, and the overall health of your cat's skin. Additionally, brushing your cat removes excess hair. This is especially useful if you have a long-haired cat. This can happen because your cat is stressed or anxious. Cats love routine, so a change in the household, perhaps even moving the litter box, can upset some cats and lead them to spend even more hours in the day grooming themselves than usual. Cats use grooming themselves to self-soothe and to reduce anxiety. It's possible that you may not realize your cat is over-grooming herself until you see bald spots or major hair loss. If you spot these, please make an appointment with your veterinarian. You can help your cat groom by brushing her, but if your cat's behavior has changed in any way, it's a sign there could be something physically wrong and you'll want to make an appointment with your veterinarian.